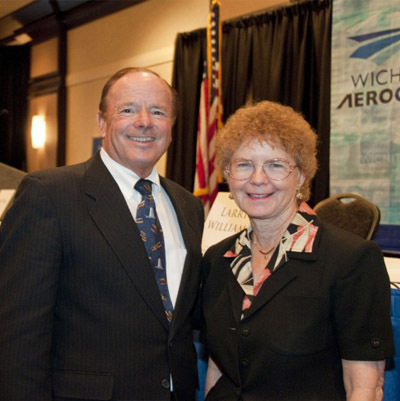 John and Martha King Co-chairmen and co-owners of King Schools, Inc.
Over more than 38 years, King Schools has delivered many millions of courses to pilots in training. Through intimate video instruction John and Martha King have taught more pilots than anyone in the history of aviation—for many years teaching more than half the pilots in the United States learning to fly. It's no surprise that pilots throughout the world know John and Martha and regard them as their personal aviation mentors. King Schools continues to transform pilot training by pioneering the development of multimedia training programs on many aviation subjects including ground-breaking programs on aviation risk management. Through the years, the Kings have retained their enthusiasm for flying. They fly their own Dassault Falcon 10 jet wherever they go, swapping captain and copilot duties on each leg. They have flown as pilots in every continent of the world except Antarctica, including a trip completely around the world via the length of Russia. In September of 1994 John and Martha became the first and only couple to both hold every category and class of FAA rating on their pilot and instructor certificates. Martha is the only woman to achieve this complete ratings sweep. They remain active in many categories, regularly flying everything from jets to piston airplanes and helicopters. They have enjoyed periodically serving as back-up pilots for the Fujifilm blimp. They have flown the blimp over such events as the Kentucky Derby, the Davis Cup, the Super Bowl, the U.S. Open tennis tournament, and the Experimental Aircraft Association convention at Oshkosh, Wisconsin. Their airship adventures have been part of national television coverage on the Fox, ESPN, CBS, and USA networks. The Kings appear frequently on national TV as aviation experts. They also have starred in numerous video presentations on Microsoft´s Flight Simulator program providing instruction for the "Getting Started" Wizard and for numerous informational topics. Plus, they were featured on CNN's "Business Unusual." 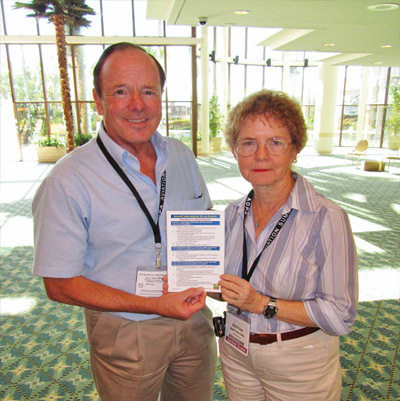 John and Martha have been champions for the cause of improving the risk management practices of general aviation pilots and they speak to thousands of pilots each year on aviation safety. They work with the FAA's National Aviation Safety Program in producing safety videos. They also volunteer their time to speak to college classes on starting a small business. 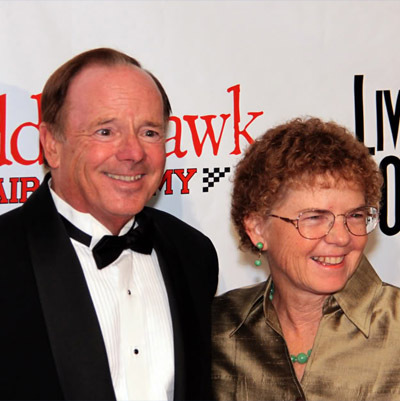 For many years both John and Martha served on the Board of Directors of the San Diego Air and Space Museum and of the Charles A. and Anne Morrow Lindbergh Foundation. John is previous Chairman of the Lindbergh Foundation, and they are now both on the Honorary Board. Martha is currently the Chair of the Chancellor´s Community Advisory Board of the University of California, San Diego. 2003 Martha honored as one of the 100 Distinguished Aviation Heroes in the first century of flight by the First Flight Centennial Commission. At Kitty Hawk on December 16, 2003, Martha shared this honor with Neil Armstrong, Buzz Aldrin,Chuck Yeager, John Glenn and Patty Wagstaff and 15 others of the 32 recipients still living. 2012 John and Martha both named Living Legends of Aviation in an exciting evening in Beverly Hills sponsored by the Kiddie Hawk Air Academy, joining a short list of aviation luminaries including Bob Hoover,Clay Lacy, Harrison Ford, Morgan Freeman, Kurt Russell, Tom Cruise and "Sully" Sullenberger.